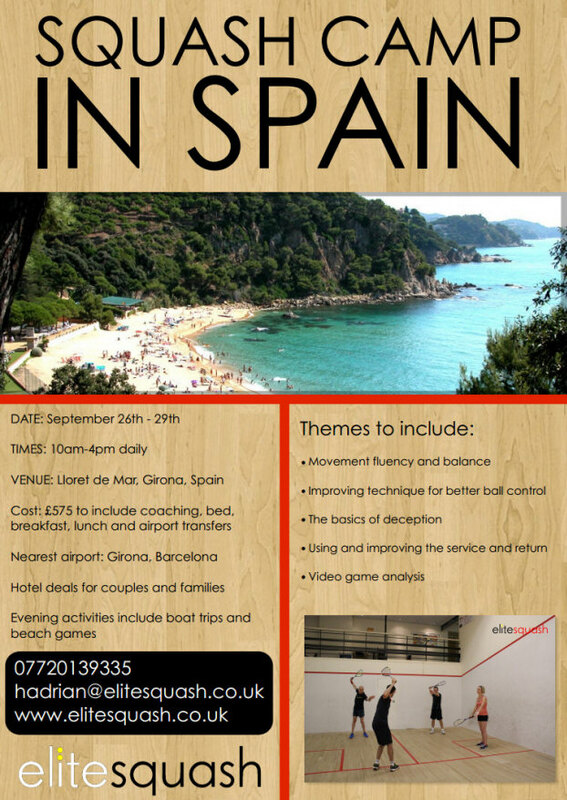 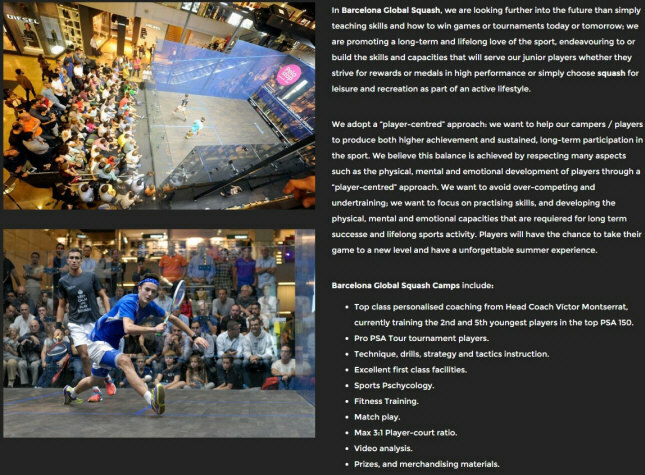 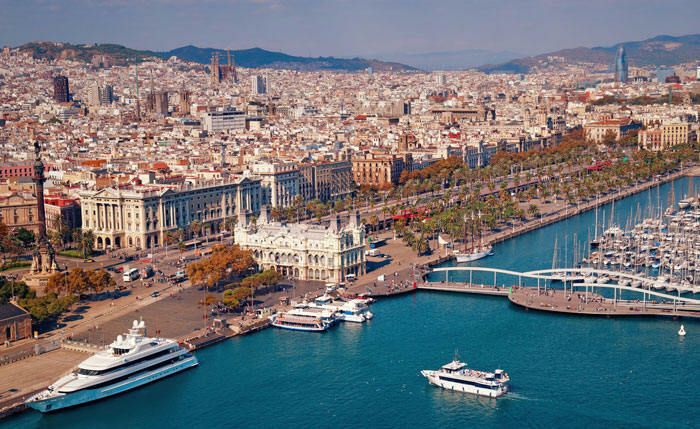 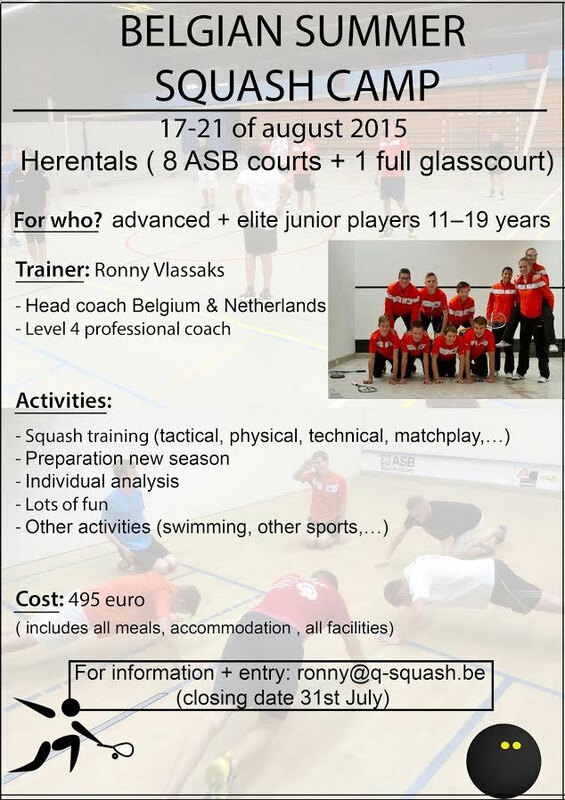 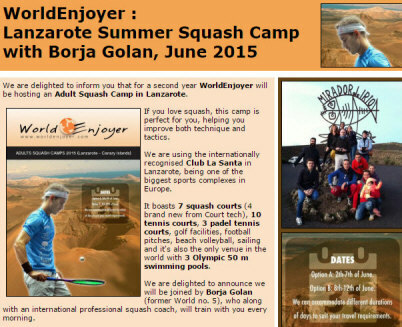 Barcelona Global Squash kicks off in the summer of 2016 with what is expected to be considered as THE reference in international squash camps in Europe offering top quality intensive squash training along with education and full immersion language activities. Barcelona Global Squash Camps offers intensive in-depth squash and fitness training to high-performance junior players who are already training and competing in their own native countries at a national or international level. 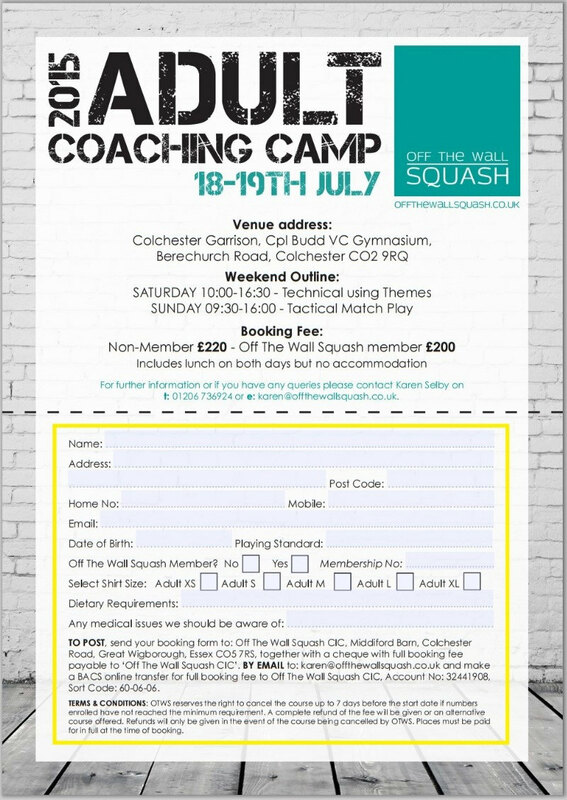 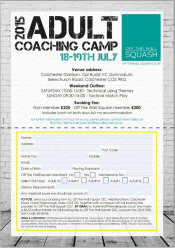 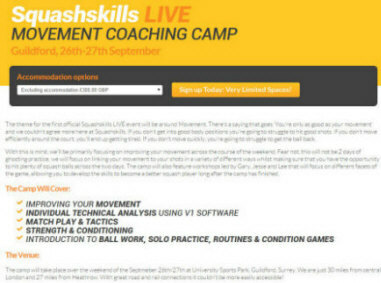 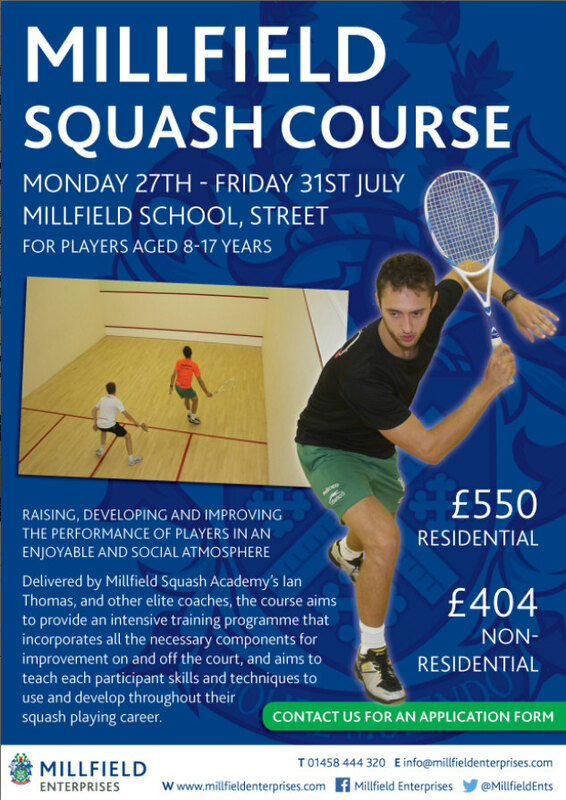 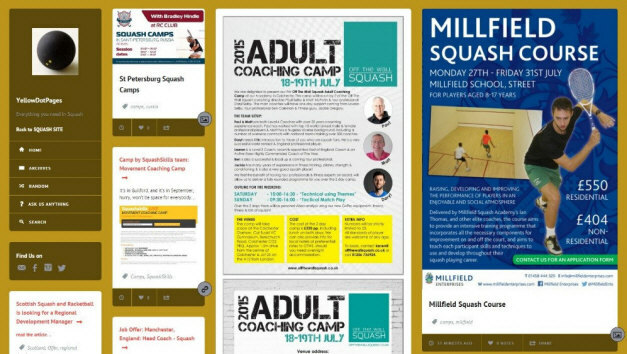 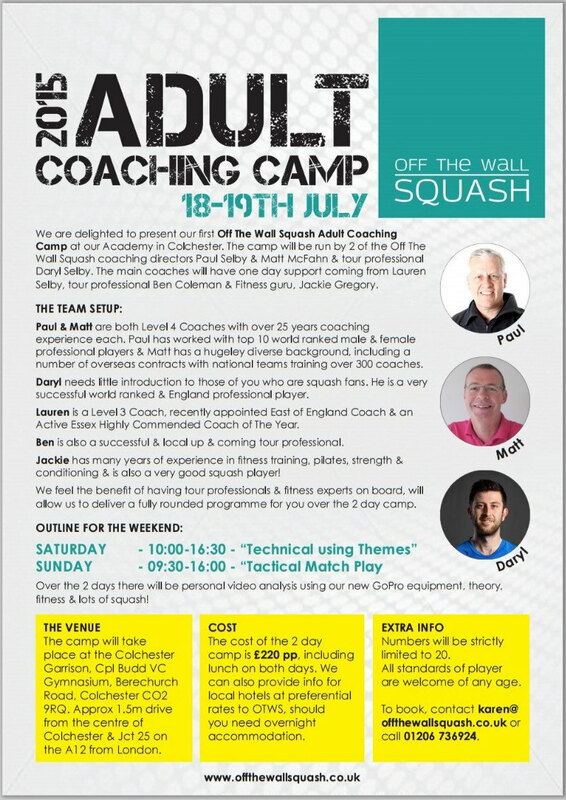 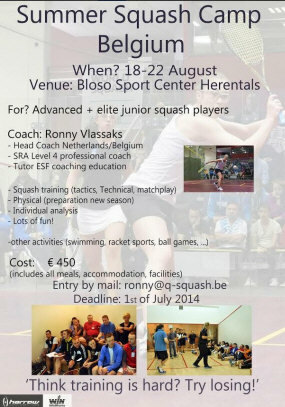 Delivered by Millfield Squash Academy's Ian Thomas and other elite coaches, the course provides an intensive training programme that incorporates all the necessary components for improvement on and off the court, and aims to teach each participant skills and techniques to use and develop throughout their squash playing career. 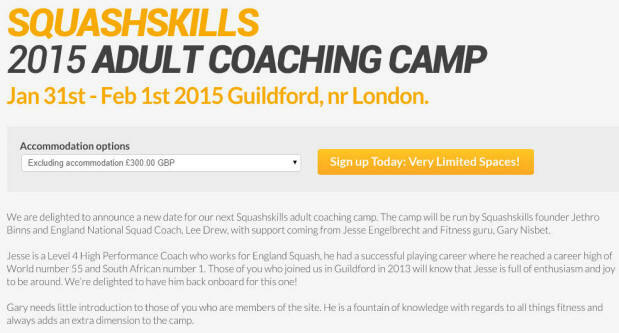 The camp will Start on Saturday 21 june 9 am ends thursday 26 june 7 pm. 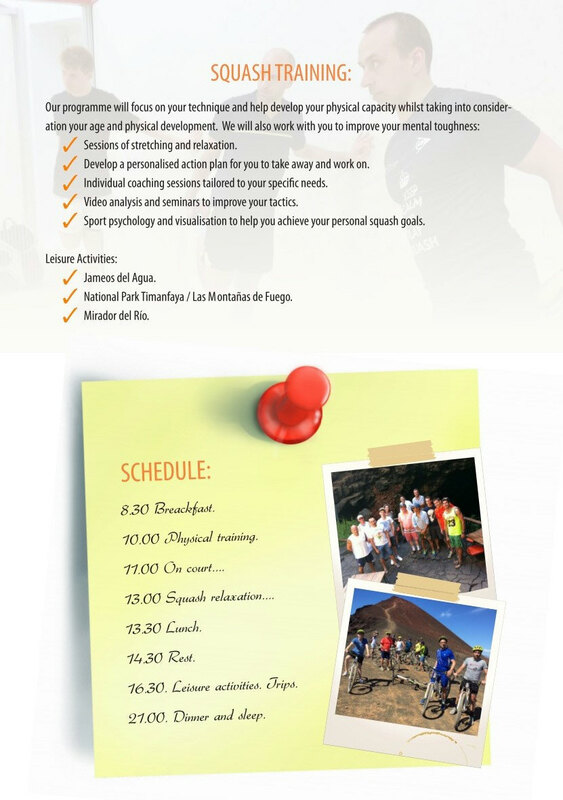 We have daily morning sessions at 9 am including physical fitness training ends 1 pm daily lunch with campers at 2 pm - evening session starts at 5 pm ends 8 pm - On Thursday only one long session from 2 till 7. 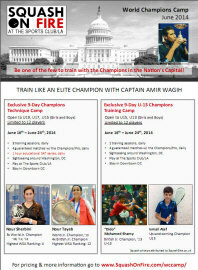 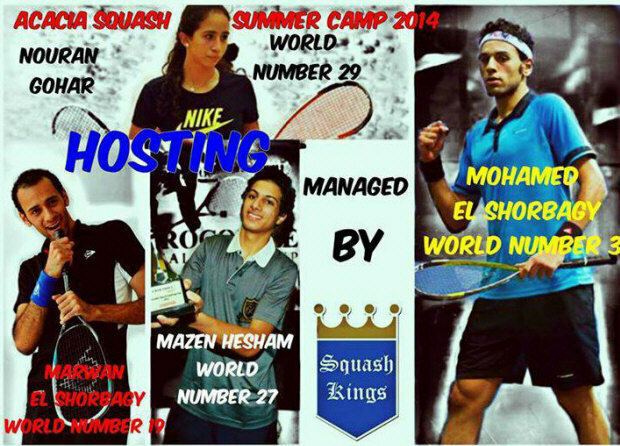 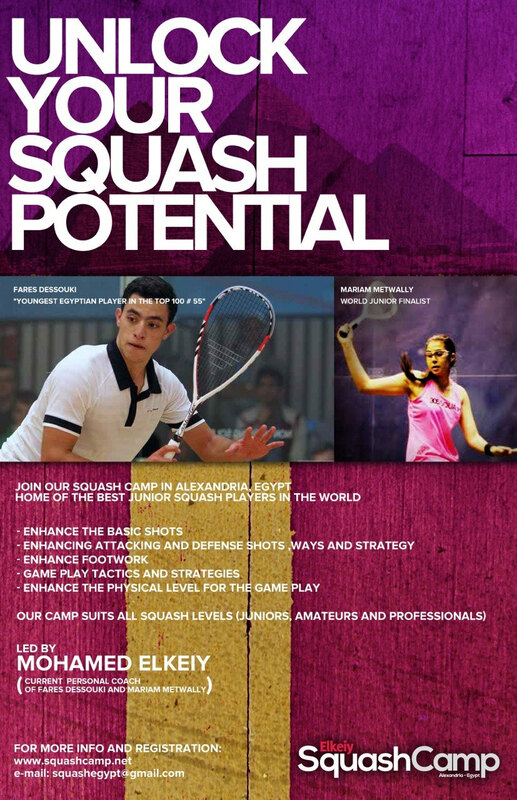 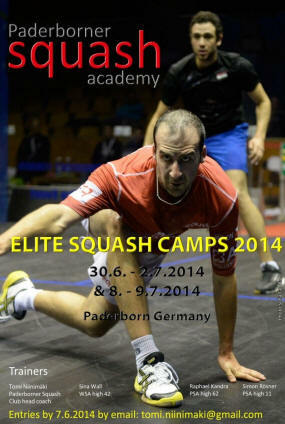 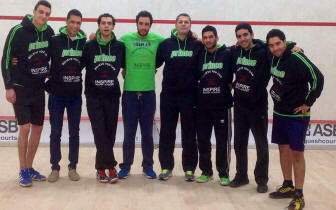 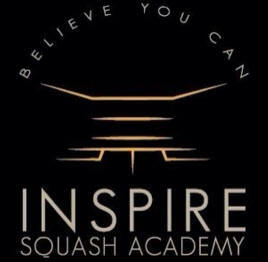 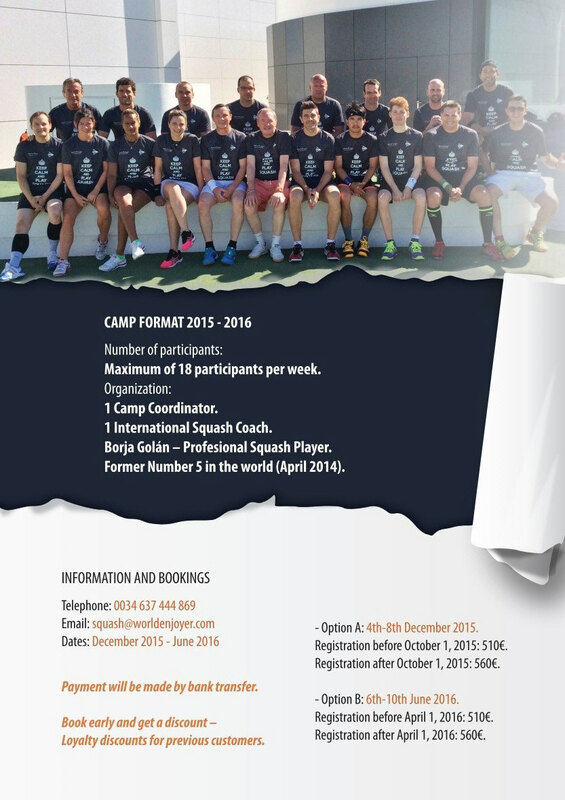 Inspire Squash Academy team are excited to announce their first International Squash Camp in Cairo, Egypt from 20 june – 4 july 2014. 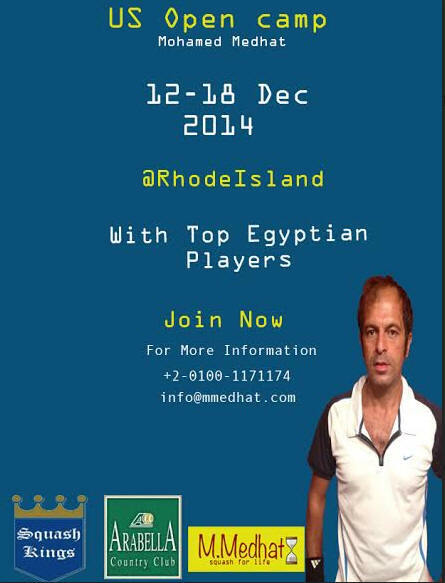 Selected players from all over the world will get the chance to play with world class Egyptian professional tour players along with the inspire academy coaches, and also a chance to learn and play with the double world champion Ramy Ashour.